A free question and answer script by laravel is the best thing when you are looking for quora clone scrip or its competitors. Voted best by laravel community using advanced laravel, material design, x-editable, jQuery Upvote and email notification. The registered users can easily submit questions, answer questions, vote on questions & answers and when a question is answered the author gets a notification via email. The users too get notified about votes, but only visible in the their profile. Powered by laravel, QnA the real jag is an best substitute to yahoo answers we can say yahoo answers best clone script to date. Instant Email Notification – As soon as a question is answered, an instant email is sent to that guy. Instant Database Update- As soon as a question is upvoted the browser is notified. Mobile Friendly UI – Very responsive with column ordering! SEO Friendly URLs – You can remove stop words from the string. This qna free laravel script which a clone of quora is the best bet for the aspirants. You will be thrilled to see it as it comes with zero fees. Download Yahoo! Answers script. Do not download nulled Yahoo! Answers script from torrents or illegal sites. It's illegal. Always buy scripts from original developers. This script allows you to create a questions and answers website of your own within a short time. Make your users ask questions and allow others to answer them on this Yahoo Answers script clone site. 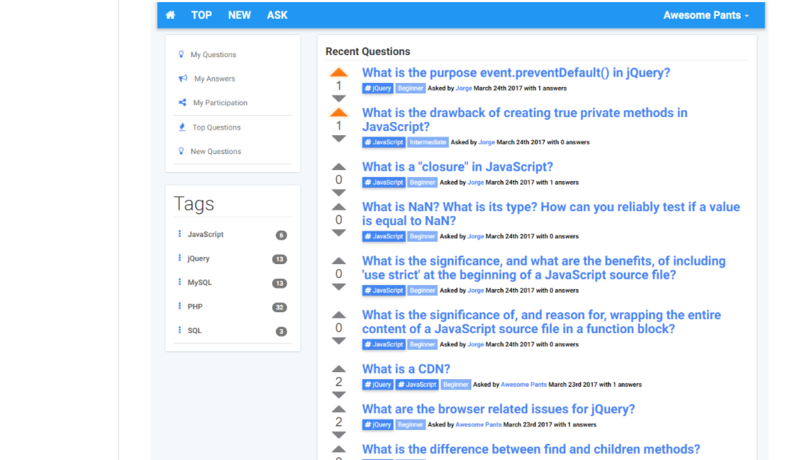 Create your own free customized questions and answers site with the help of this open source Coordino script. A user friendly, fully customizable and user driven questions answers clone script that can be considered one of the most popular and highly recommended Yahoo Answers clone script on the Internet. This script has been made in Ajax and the overall features and site performance is awesome. © 2015 99clonescripts.com All rights reserved. Receive best clone scripts in your email inbox every week. Subscribe to our newsletter NOW!